What do solicitors and barristers do? And what are the main differences between the two professions? This page outlines the core skills needed by each, the type of work involved, work experience opportunities and training pathways for those interested in a legal career as either a barrister or solicitor. What is the difference between solicitor and barrister professions? If you are unsure of the difference between a barrister and solicitor, or the qualifications and training processes to be completed for either career, then you can find out more on this page. Want to find out more about a career in law? Download our free Guide to Law for 14 to 18 Year Olds booklet now! Put very simply, barristers tend to practise as advocates representing clients in court, whereas solicitors tend to perform the majority of their legal work in a law firm or office setting. There are, however, exceptions to this rule in both cases. From an advocacy perspective, for example, the line between the two professions has become more blurred in recent times. Solicitors can obtain ‘rights of audience’ which enables them to represent clients in court. This means that solicitors can now perform many of the functions of a barrister up to a certain point, although barristers are able to work in a significantly higher level of court than their solicitor counterparts. To become a solicitor, you must complete a vocational 1-2 year course called the Legal Practice Course (LPC) which is designed to prepare you for solicitor practice. Following this, you must complete a 2 year training contract, which is practical legal work experience (typically carried out in a law firm) which must be completed in order to qualify as a solicitor. Your training contract allows you to explore different areas of law, you will spend terms in different ‘seats’. 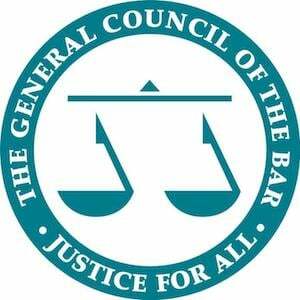 To qualify as a barrister, on the other hand, you need to complete the Bar Professional Training Course (BPTC). After this, fledgling barristers will do a 1-year pupillage, which usually takes place in chambers. Pupillage involves shadowing a barrister before getting involved in the practical work of chambers. Most solicitors are employed by a law firm or commercial organisation as an ‘in-house’ solicitor. As an employee, they will receive a regular income, holiday pay, sick pay, benefits etc. This obviously offers a lot of job security. Barristers, on the other hand, tend to be self employed and affiliated with a chambers which they share with other self-employed barristers. With self-employment comes greater uncertainty in relation to income and during any holidays or sick leave, a barrister will not be paid. As barristers become more senior and can charge higher fees, this becomes less of an issue, but for barristers just starting out, this can be a real challenge. Barristers, however, are not always self-employed. Some barristers are employed ‘in-house’ at law firms and large commercial organisations (such as the Government Legal Service), which takes away the uncertainty associated with being self-employed and brings with it regular income and benefits. Members of the public are free to contact and instruct a solicitor. This is not always true of barristers. For reasonably straight forward cases, a member of the public can instruct a barrister, if they go through the Public Access Scheme. Public access is available in all types of work that barristers can do, except for work funded out of legal aid. It is also unlikely to be appropriate in cases involving children. Traditionally, a barrister in court was expected to wear traditional court attire in the form of a long black robe and wig. Although many barristers are still expected to dress in this way, for an increasing number of barristers, including, for example, some civil practitioners, this is no longer necessary. As a solicitor, there is no dress code. Smart dress will do just fine! If you are thinking about pursuing a career as a barrister, the work experience you should consider undertaking is different as compared with the work experience you would consider if you were thinking about pursuing a career as a solicitor. Budding solicitors would be considering work experience in a law firm-type environment, in the form of vacation schemes or otherwise. Budding barristers, on the other hand, would be considering work experience in the form of a mini pupillage. Why not have a go at our fun and interactive Barrister v Solicitor Quiz to see which profession you are most suited to?